TEHRAN, Iran  Iran said the victim of a deadly shooting Saturday was a university student  not a physicist involved in the disputed nuclear program as state media first reported. A mix-up over the victim's name apparently led to the confusion, the English-language Press TV said. Initial reports said a pair of gunmen firing from motorcycles killed 35-year-old Darioush Rezaei, a physics professor whose area of expertise was neutron transport. Several news reports, including by the semi-official ISNA news agency, linked him to the country's nuclear program. But an investigation later determined the slain man was Darioush Rezaeinejad, an electronics student at Khajeh Nasir University in Tehran. The initial reports raised concerns because the attack appeared similar to other recent assassinations of scientists that Tehran blamed on the U.S. and Israel. The U.S. and Israel and some of their allies accuse Iran of seeking to develop a nuclear weapons capability under the cover of its civilian atomic energy program. Iran's missile program and its launch of satellites have raised fears it is also marching toward a capability to deliver a nuclear warhead across continents. Iran denies the accusations and says its atomic program has entirely peaceful aims. 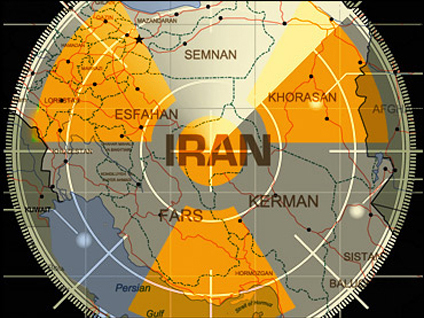 Despite the U.N. and other sanctions, Iran has steadily moved ahead with its uranium enrichment work, the central aspect of its nuclear program and the process that is of deepest concern to the West because it can be used both to produce reactor fuel and material for nuclear warheads. Iran insists it is only after reactor fuel, but the U.N.'s nuclear watchdog agency has accused Iran of stalling its investigation into the work for years. In November, a pair of back-to-back bomb attacks in different parts of the capital killed one nuclear scientist and wounded another. President Mahmoud Ahmadinejad blamed the U.S. and Israel. In those attacks, assailants on motorcycles attached magnetized bombs to the cars of two scientists as they drove to work. They detonated seconds later. The man who survived that attack, Fereidoun Abbasi, is on a list of figures suspected of links to secret nuclear activities in a 2007 U.N. sanctions resolution, which put a travel ban and asset freeze on those listed. Abbasi has since been named one of Iran's vice presidents and head of its nuclear agency. At least two other Iranian nuclear scientists have been killed in recent years. Besides the attacks on scientists, Iran has faced other setbacks in its nuclear work that it said were the result of foreign plots, including a mysterious computer worm that forced a temporary shutdown of Iran's main enrichment plant in the central town of Natanz last year. Iran's foreign minister said earlier this month that his country was ready to cooperate more closely with the U.N.'s International Atomic Energy Agency but only if it ends its investigation into allegations that Tehran has secretly worked on a nuclear weapons program  a condition rejected by the head of the U.N. nuclear watchdog. Iran argues it has cooperated and answered all questions mandated by the plan governing the agency's probe.